Earn £16 worth of loyalty points when you buy this item. The blend of wool and linen makes this suit the perfect partner for warmer weather - lightweight and breathable. If you are looking for a smart occasion suit, look no further. Trouser: Tailored fit. Two button, single breasted. Pressed crease. Angled exterior pockets. Four interior pockets. Side vents. Hand stitch detail. Fully lined. 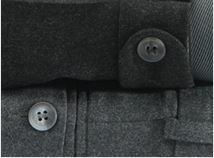 Four button cuff. Dry clean only. It is a beautiful suit, nice colour and perfect fit!! 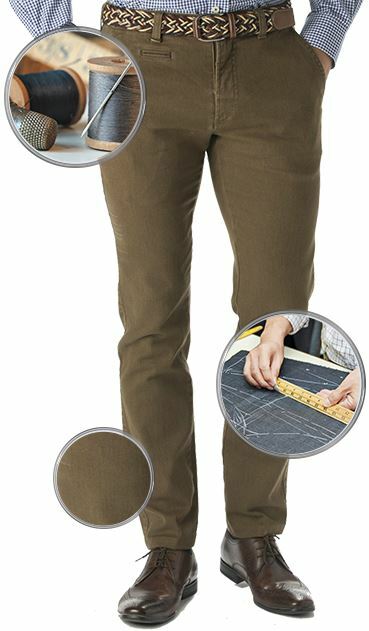 The cut of the tailored trouser has a slightly shorter rise and less fabric. It’s purpose is to slim down the classic fit, providing a more streamlined appearance but is not as snugly fitting as the slim fit trousers. Tailored fit can be considered the bridge between classic and slim fit trousers. Along with the classic fit, the tailored fit waistband is just above the hips and should button comfortably without being too tight. 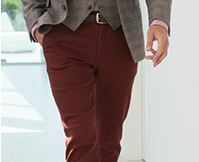 Trousers should not need a belt to stay in place but two fingers should comfortably fit between skin and waistband on either side of the hips. The hem of the tailored fit has the option of a full or half break, also called a medium break. The bottom of the pant leg touches the shoe and slightly creases (or breaks) just above. 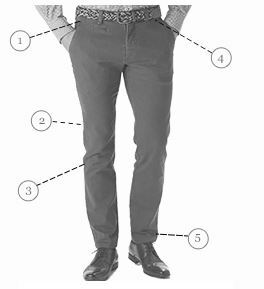 Tailored fit trousers are more tapered throughout the leg to the hemline to provide a more streamlined appearance without being quite as snug as the slim fit trouser.